Yeo's brand has the true taste and wonderful aroma of the soymilk served in Asia, and this is different than American soymilk. 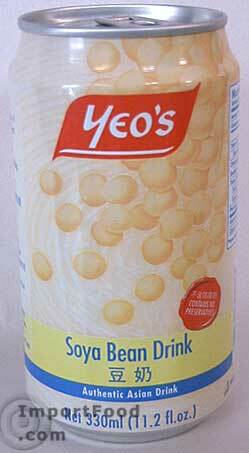 If you're craving the Asian taste this is it, packed by Yeo's of Singapore. Ingredients: water, aqueous extract of soybean and cane sugar. No preservatives. Product of China.